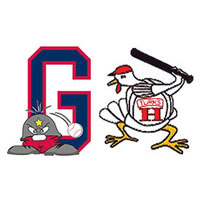 A four-run fifth put Harrisonburg in the driver’s seat, and the Turks held on from there for a 5-2 win over the Waynesboro Generals in Game 2 of the Valley League semifinals Monday night. The win forces a deciding Game 3 Tuesday at 7 p.m. at Mathers Park at Kate Collins Field in Waynesboro. The Generals took control early, getting on the board on a solo homer to right-center by Julian Ridings, his eighth of the season, to lead 1-0 after one. Waynesboro made it 2-0 in the fourth when Brandon Murray scored on a wild pitch. Harrisonburg stormed back in the fifth, breaking a 13-inning scoreless drought in the series on a Keaton Neeb single to left. A wild pitch by Waynesboro starter Ben Krusen (1-2) scored Thomas Smith from third, and RBI hits by David Perkins and Mark Lumpa made it 4-2 Harrisonburg. The Turks added a run in the sixth when third baseman Anthony Iacomini dropped a two-out fly ball off the bat of Neeb, allowing R.J. Perucki to score. The Generals’ best chance to get back in the game came in the eighth, when they loaded the bases with two outs. Devin Smith hit a long fly ball into the rightfield corner, but Ryan Brown was able to track the ball down for the third out. Alex Cruz (2-1) picked up the win with five innings of scoreless relief.